World Series of Poker 2019 is already being prepared, and the officials decided to share some of the details about the 50th Annual WSOP competition that will take place this year as well. We already know some dates for certain flagship events that were announced by Caesars Interactive Entertainment, but we wanted to dig a little deeper and discuss events which will require at least $10,000 buy-in. Some of the popular signature events that happen every year and feature No-Limit Hold’em such as Casino Employees, Super Seniors, Ladies, Double Stack, Marathon, The Closer, and Little One for One Drop already have finalized dates. The first event that we will cover is the Short Deck event, which will be introduced to WSOP 2019 for the first time. 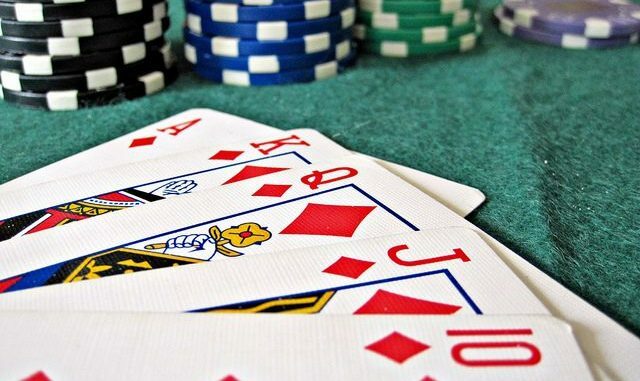 It will be a Short Deck No-Limit Hold’em, which is a popular variant of the traditional Hold’em that features only 36 cards instead of the whole deck. All cards starting from deuces through fives are not used in this type of poker which makes it more fast-paced and exciting. This event will start on Sunday, June 2 at 6 pm. The second interesting event will be a 50th Anniversary No-Limit Hold’em tournament which will require a $50,000 buy in and where every player will get 300,000 to play within one-hour levels. This will be an event that will last four days and will start on May 31 at 3 pm. The registration will be available until Day 2. One of the events that is definitely in focus among all poker enthusiast is the WSOP 2019 Main Event which will require a $10,000 buy-in and will last from July 3 – 16. Every day, the poker action will start exactly at noon and last throughout the rest of the day. Flight A will start on July 3 while Flights B and C will start on July 4 and 5, respectively. Those who remain in the Flights A and B will meet on July 6, while all three flights will merge together on July 8. The tournament will continue until the winner emerges. The Main Event will not allow reentries as per usual. However, the officials decided to make some changes in the 2019 version in comparison to the previous one. First of all, instead of receiving 50,000 chips, every player will have an opportunity to play with 60,000 chips. Furthermore, the players will utilize the Big Blind Ante structure and even have an opportunity to buy their way into the event until the start of play on the second day. In other words, players will be able to enter the Main Event on July 6 and 7 at noon. The most interesting addition this year will be a $1,000 Mini Main Event which will take place two days before the real Main Event starts. It will be a similar concept to the real Main Event but the levels will be 30 instead of 120 minutes.